Remember, use your One4all Gift Card as a prepaid Visa Debit Card. Do not choose ‘Gift Voucher’ or ‘Gift Card’ at checkout. Also please keep your One4all Gift Card in case of returns or refunds. For further assistance, please email custserv@one4allgiftcard.co.uk. How do I spend my One4all Gift Card online? 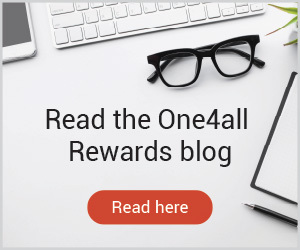 The One4all Gift Card acts as a prepaid Visa debit card when spending online with participating One4all online retail partners. In payment options at the checkout, select ‘Visa’ or ‘Visa Debit Card’. Which online retailers accept One4all Gift Cards? What name & address do I use when asked online? Use your own first and last name and your own address in the Billing Address section when spending your One4all with an online retailer. At checkout there is an option for Gift Card/Gift Voucher, should I use this? No, these options are for retailer-specific gift vouchers only. When spending your One4all online, always use the ‘Visa’ or ‘Visa Debit’ option. What happens if I need to return an item/s I bought with my One4all Gift Card online? Please retain your One4all Gift Card as all refunds will be returned to this card. Check the returns procedure of the retailer you used the One4all Gift Card with and follow their instructions. The refund will take 7 working days to be returned to your card. 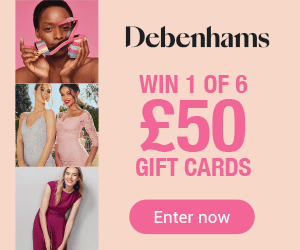 Can I use multiple One4all Gift Cards when spending online? As the One4all acts as a Visa debit card, you cannot combine multiple cards for an online purchase. 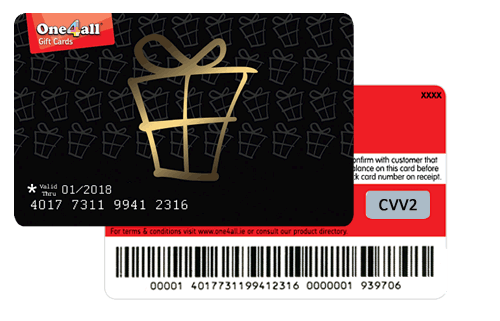 You can spend multiple One4all Gift Cards when spending in-store.